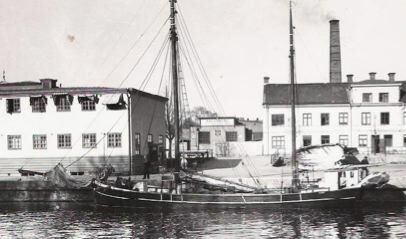 Built in the year 1900 on Gustafsson's shipyard in Landskrona, in southern Sweden. 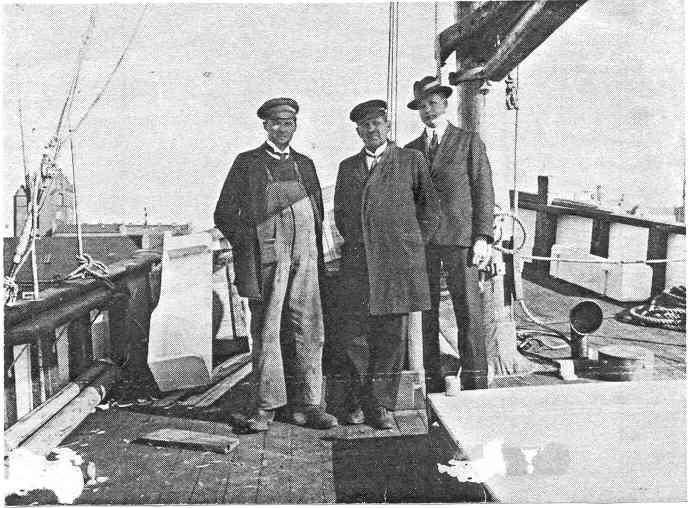 It was one of the shipwright Gustafsson«s first ships. Beeing a naval architect he built his ships from drawings, rather than from measures taken from a model of the hull which was the common procedure among his competitors. Her lines and hull is that of a typical jakt with influence from traditions in nearby Denmark. She was one of hundreds, if not thousends, of small baltic traders in the region. The first few years Emma's home harbour was the Swedish little island Ven, near her building place. The cargo were brickstones and wood aimed for the building of Danish capital Copenhagen. Later on she continued her trading from Halmstad, situated furter north on the Swedish westcoast. Still she was not equipped with any engine at all. Her handling relied on the winds and the strong arms of her crew. 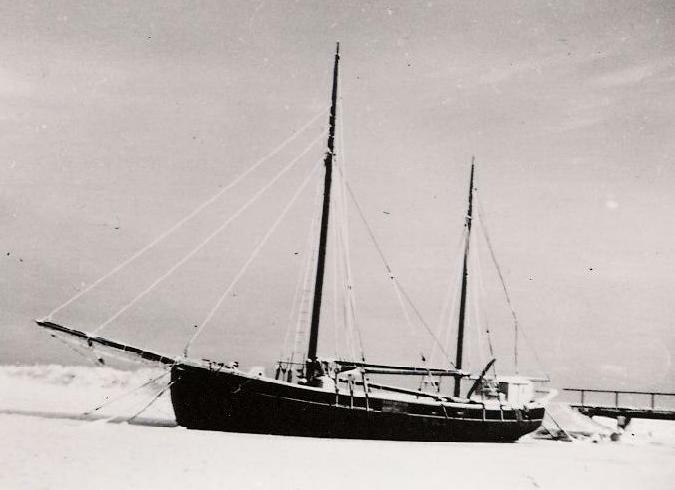 Now her cargos were mostly sand for glassworks and timber for construction. In the 1920ies the raw oil engines became popular in the ships, but it is said that the captain and owner of Emma could not sleep in the cabin close to the thumping of this machine and thus sold the ship and got a job ashore instead. 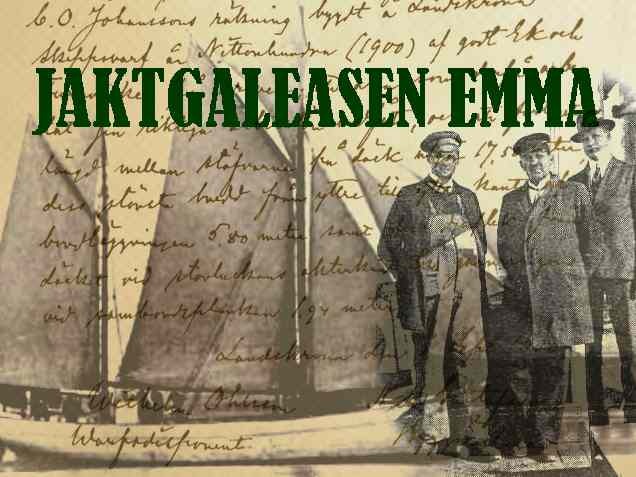 Anyway Emma was sold to the little village of Kivik, in the southern Sweden, now a restful little place but once the home of many proud trading and fishing ships. 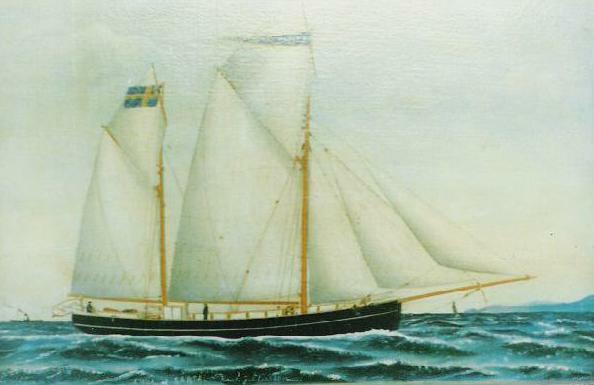 At Kivik she was registered for many years and finally became the last sailing ship of the harbour. 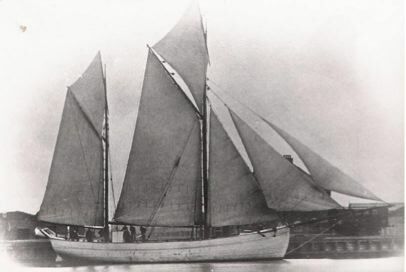 After the war she was sold to Mönsterås in the 1940ies and finally to Öland, the island outside Swedens south baltic coast. Lika many other ships like her she was involved in the transport of limestone produced on this island. 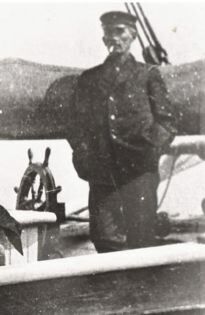 When the wind was fair the sails still were set but the engine had got stronger and of practical reasons the crew had moved into a small deckhouse in the aft. 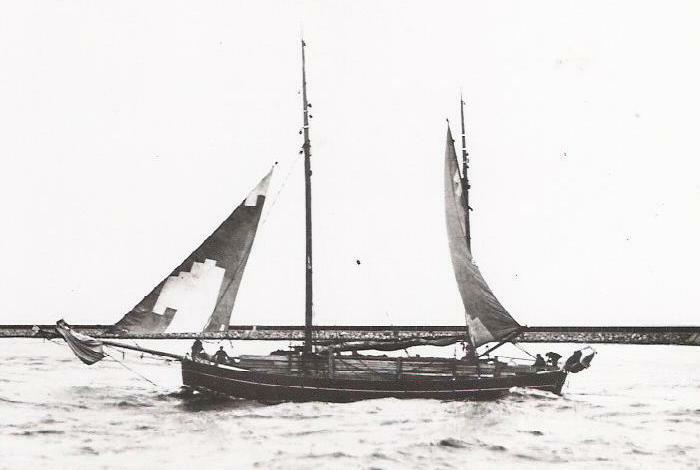 'House sparrow of the sea' is what this type of baltic traders, rigged as galeases and scooners, have been called. For every year their apperance was even more grey and torn and the once beautiful lines decayed when they carried their heavy cargo from early spring when the ice broke up til the ice returned in the early winter. Earnings were small and often the wife of the captain served as the only crew aboard. When the regulations on minimal crew were inforced in the 1960ies, the owners gave up and the ships were sold to private enthusiasts with magnificent plans of world wide travels but with thin wallets. Emma however got an ambitious new owner who painted her cheerfully blue, kept her floating and fitted her with interior for recreation. 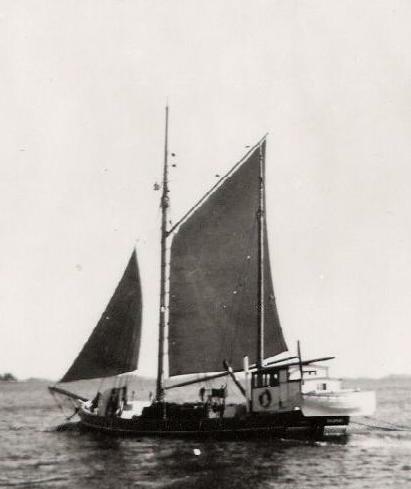 Her present owners bought her in miserable condition but still sailing. Many years now have passed with pain and efforts, trying to preserve and reconstruct her to the apperance she could have had in the 1930ies. There is still lots of work to be done but we now think we might see the end of the road. Surely she is worth that after so many years of struggling to build our wealth in Sweden! 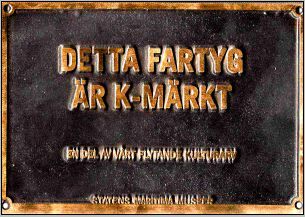 Classified as beeing an extraordinary valuable maritime historical heritage of Sweden by the State Maritime museums.